DMDK attention is Only on Kallakurichi Constituency: Four parliamentary constituencies have been reserved for DMDK in the AIADMK coalition. In this, Kallakurichi candidate Vijayakanth's brother-in-law LK. Sudheesh is competing in the three wards of Kallakurichi. Alagarsamy in Virudhunagar, Mohanraj in North Chennai and Ilangovan in Trichy. 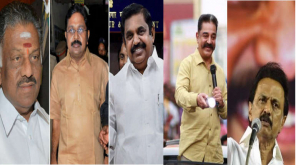 There is only two days left for this Lok sabha election 2019, since the party leadership and the coalition parties are not paid for election expenses, DMDK candidates are unaware of what to do next. Candidates who are contesting this election now have begun to look at party administrators and volunteers as the election work has begun very rapidly. Candidates of other parties are paying more attention to their parties members and volunteers now itself before election date. In spite of this, DMDK party is in the hard hands because they do not pay for election expenses. DMDK administration is also focusing on Kallakurichi constituency. 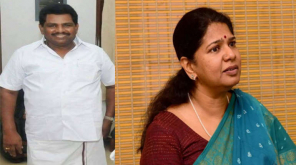 There are also reports from party executives reporting that the rest of the group is not paying attention other than Kallakurichi constituency.